We have a choice of two styles of luggage rack available for the Mazda MX5 NC Soft Top (built between 2006 and 2015 MY). Very high quality temporary (removable) Classic Style luggage rack for the Mazda MX5 NC Soft Top built between 2006 and 2015 MY. 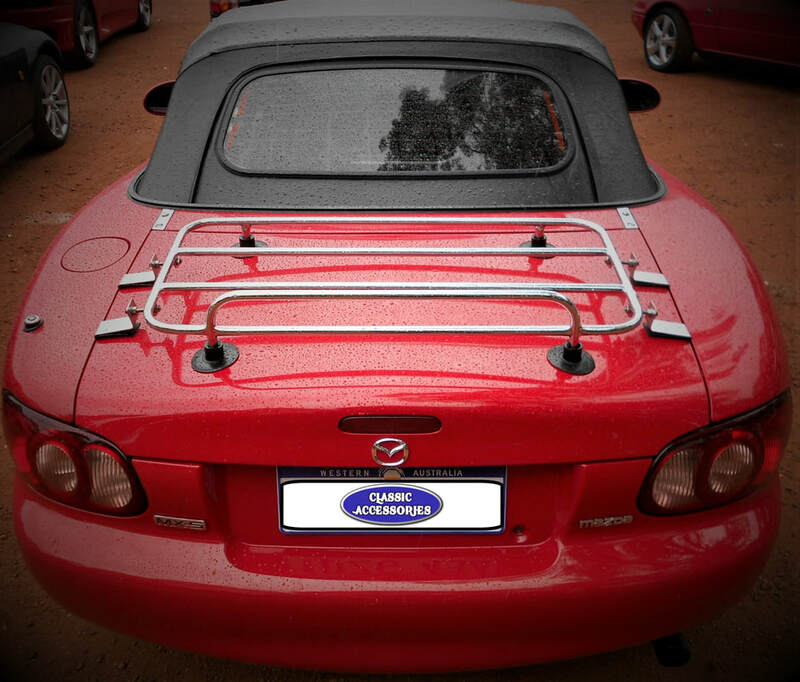 Premium specification Classic Style boot luggage rack with bespoke fittings suitable for the Mazda MX5 NC Soft Top.